Two years back, I received Sulwhasoo's First Care Activating Serum and Concentrated Ginseng Renewing Cream at Amorepacific Corporation's Gala Dinner. Yes, it has been quite a while now and I should really throw them out. 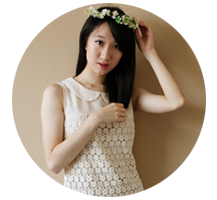 But before I do, I thought I write a review on my 2 most luxurious and loved products (I mean, c'mon! It SMELLS sooo good! Ginseng, ahhh...). For the uninitiated, Sulwhasoo hails from Korea and was founded by Sunghwan Suh, the founder of Amorepacific. He came from Gaeseong, a city which was known for quality ginseng. 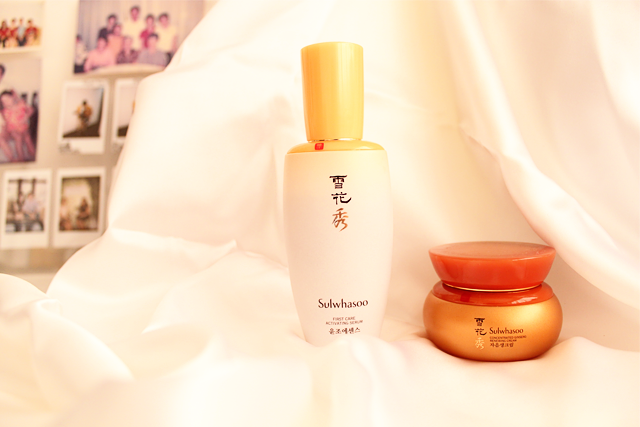 After launching the first Ginseng cream in 1966, he decided to develop Sulwhasoo. Since then, Sulwhasoo has been creating products with Ginseng and other Korean medicinal herbs as its key ingredients. Currently, Sulwhasoo has 4 different ranges; Essential Line, Snowise Line, Timetreasure Line, Men's Line and standing by itself, the Concentrated Ginseng Cream. Each line is subjected to a different treatment, where ingredients are baked, steamed, fermented, or vinegared so that they are detoxified, enriched, or preserved for a longer period of time. This is known as The Poje Method and you can read more about it here. The First Care Activating Serum (160ml) is jam-packed with Korean medicinal herbs to boost your skincare regimen and ensure optimal skin care results. It helps to promote balance and replenish essential moisture and nutrients so that your skin is soft, smooth, supple and all ready to receive the next step of your skincare regimen. I use this after cleansing and applying toner. 2 pumps are enough for my face, though sometimes I use a wee bit more. Just because it smells sooo good! If you love Chinese herbs like I do, you're in a for a treat! This smells like, premium Chinese herbs. It spreads out like water and is absorbed quickly and easily. My skin is left feeling pretty matte and velvety soft. The Concentrated Ginseng Renewing Cream (60ml) is a revitalizing cream that delivers nutrients from the root and fruit of the Korean Ginseng to the deepest layers of your skin. It awakens damaged and depleted skin, strengthening your skin's defense against signs of aging and restoring clear, radiant skin. Though this looks pretty thick, it is actually quite light and sinks into my skin very easily. It smells like Ginseng heaven and I swear I eat it if I could. Haha. But anyway, there is a slightly greasy feeling left behind but it's really slight and not uncomfortable at all. I use this only at night and I wake up to skin that's plump with moisture. Sulwhasoo is available at TANGS Orchard, TANGS VivoCity, Takashimaya Departmental Store and Robinsons Orchard.